One of the main interests of the library is to collect writings information about Újfehértó and the works of authors who were born or operating here for a longer period, with an aspiration for entirety. The thereby created distinct collection is the source of information for those show interest about our town, its history, and notable residents. The local collection of our library can be found in the reading room. The borders of the collection are based on the prevalent administrative area of Újfehértó. At the same time we also collect the basic and informatory reference and guide books and summary monographies about the county and the area. We collect information about past, present and future. Our ambition is to create a current continuous collection from presently published material. The local collection is a comprehensive and complex database thus we collect all kind of documents concerning Újfehértó. 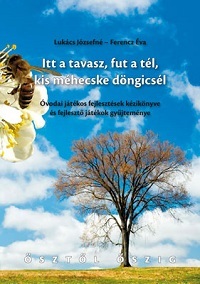 Local persons and any documents, information concerning authors of Újfehértó are specially treated. We consider a local author anyone who was born in Újfehértó and/or part of his work is linked to Újfehértó. Books: Documents concerning Újfehértó, writings of local authors as widespread as possible. The products of local printing works that are at least partially local pieces. Periodical publications (newspapers, journals, gazettes, annual reports, almanacs etc. ): The entire palette of periodical publications of Újfehértó. Short prints (catalogues, leaflets, invitations, notices etc. ): A selection of local short prints from all areas of life and short prints concerning the library. We also collect the in-house multiplied materials. Manuscripts, dissertations, research reports, minutes of meetings, local legal materials. Maps: The more important maps showing Újfehértó and the county. The documents of the local collection can be found in the electronic catalogue, recording the files of the library. One copy of the local history books goes to special collection, these can only be used on the spot. Additional books go to the rentable open-shelf stock. The above mentioned rules apply to the maps of the collection as well. In case of reasonable instances the items of the collections and bound periodical publications can be rented for weekends against acknowledgement of receipt.